Happy Monday everyone.. It's time for our Monthly Feature Day at Your Next Stamp and this month the team was challenges to take inspiration from an Artist. One of my Favorite Artist is Andy Warhol. If you are ever in Pittsburgh you should check out his Museum. You will learn more about him and his work. They also have limited runs of other Artist works as well. 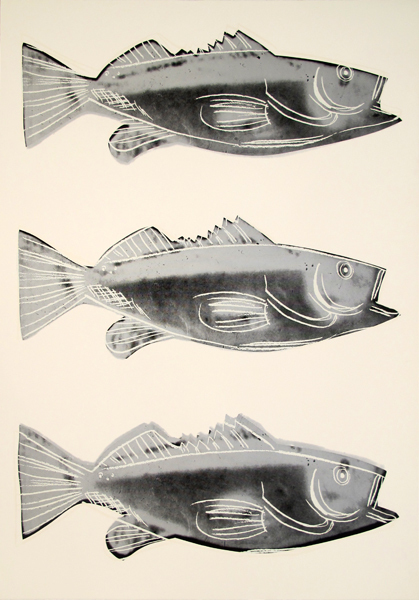 I based my project on his Fish III.39 work from 1983. I used the Fang-tastic Halloween set to recreate this look. 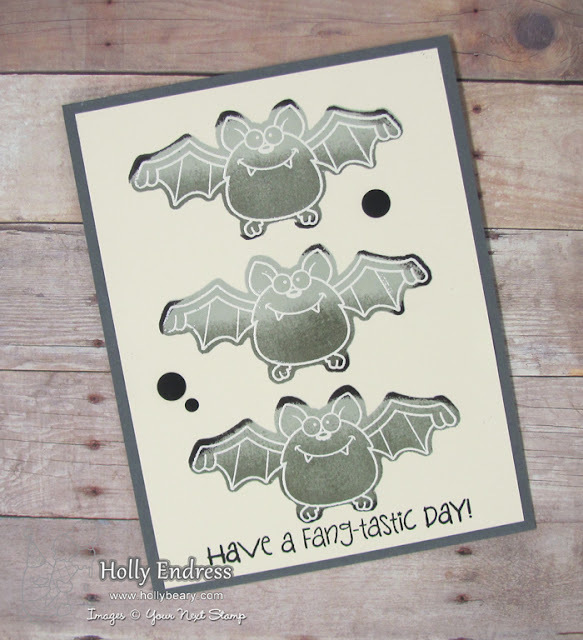 I stamped the back of the Bat image a few times using the Misti and Several shades of Grey and Black inks on Vanilla card stock. Then I flipped the stamp around to the correct side and stamped the image in VersaMark and heat embossed it in Vanilla. Once the images where dry I stamped the sentiment in Black ink along the bottom edge. Then I trimmed the panel and adhered it to a Dark Grey top folding card base. I added a few of the Black Matte Gumdrops from the Milk and Cookies Gumdrop collection. 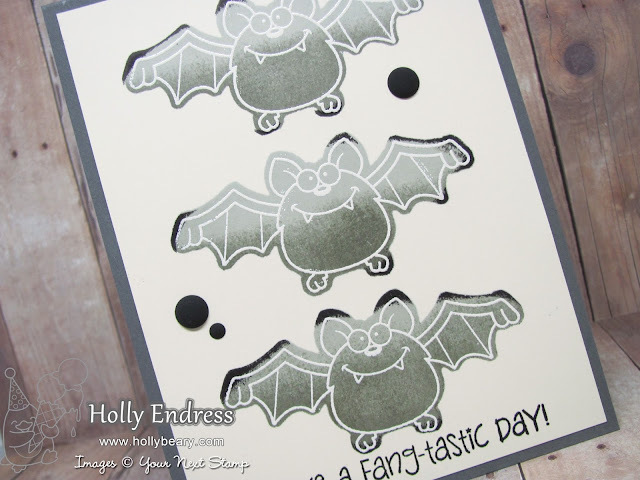 Head over to the YNS Blog for more inspiration from the Design Team and be sure to leave a comment while you are there for a chance to Win a Stamp set of your choice!